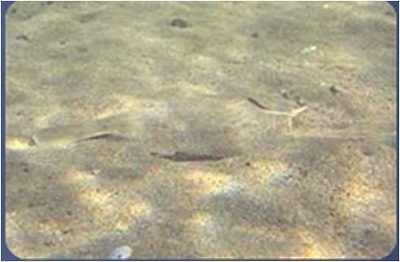 Surface effects : effect of light on the surface of the water and the ground below forming crinkles or patches of light. Scatter and diffusion : the scattering of various wavelengths of light and the diffusion ( strong beams of light are broken down to ‘areas’ of light. In under water lighting the elements of the illuminated are appear to have undergone a loss of color as in the bright blues turn into paler shades and the contrast diminishes , lighting can be used to compensate or enhance these effects. Why is it used ? 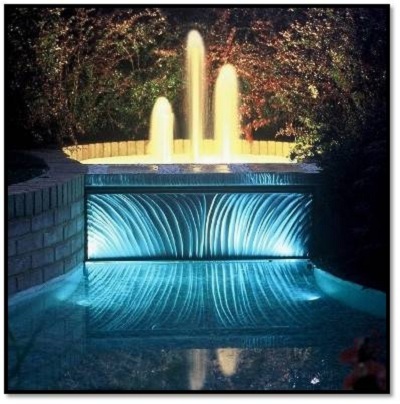 Underwater water lighting systems are basically used to compensate or accentuate the above stated effects in water in coordination with the other elements of design present in the environment of design. The advantages we get by using led lights is basically a very low maintenance cost approximately 20 times lesser in terms of electricity bills and hence these type of fixtures is advisable in places where the savings outweigh the investment in a reasonable amount of time. The other advantage being that they last very long , on an average 100,000 hours as opposed to the 10,000 to 20,000 hours for regular halogen and other lamps. 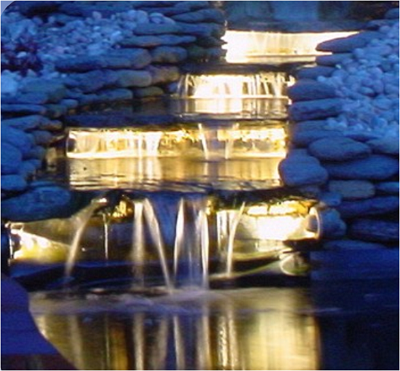 L.E.D lights also provide another advantage , that of providing almost zero temperature changes in the water. L.E.D lights basically convert all the energy into light unlike the normal lamps were we have a large amount of heat also produced. General underwater lighting refers to the non-L.E.D lighting systems like the regular tungsten filament lighting fixtures , halogen lighting fixtures etc., these systems are under the same category as more or less they use the same over heating of the filament technique to produce light . Though not as advanced as the L.E.D systems in providing perfect lighting these lighting systems have been successfully providing excellent lighting systems with primarily cost being their strongest factor in contrast to the L.E.D systems. I have been going through the LED / Non LED debate with myself and was looking for related information when I came across your post. You’ve provided some excellent information as well as resources to further research in the related posts. I am glad the article has been of help to you. your article is very nice it gives sound information about lighting in under water.